An enthusiastic biodynamist Jean-Louis is well-known as top Burgundy wine producer based in Gevrey-Chambertin. Besides, Jean-Louis and his wife Andrée own the vineyards in Alsace. 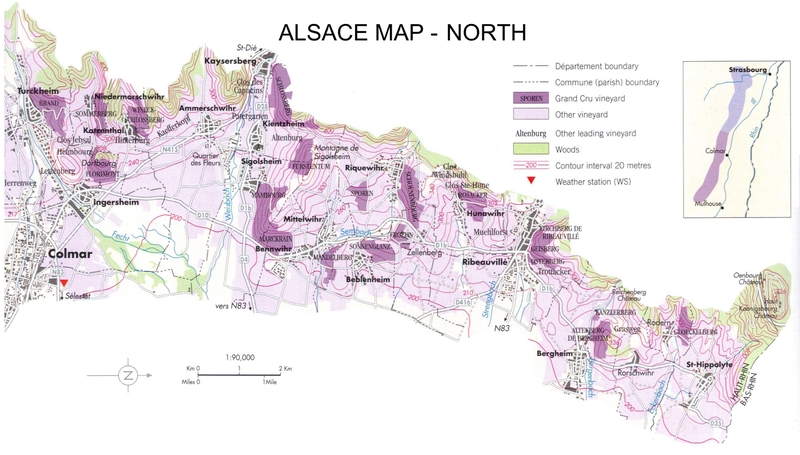 The wines of Trapet-Alsace are characterized by superb purity of fruits, mineral and high density - and all these elements are wrapped by delicacy and softness. Trapet is a member of Renaissance des Appellations(organized by Nicolas Joly, the group of natural wines. Members are required strict observance of high level of the charter of quality). Whole process - from the vineyard to cellar works - is fully managed by natural method. The idea for this wine came from a simple observation, freely inspired by Mr. Jules Chauvet 1960: “Adding sulphites to the harvest is not advisable, knowing that both the yeast and intracellular fermentations give the best yield when there is no SO2″. Once the grapes are in the vat, Trapet uses no sulphur and the fermentations start naturally. Assembrage : Sylvaner, Pinot Auxerrois, Gewurztraminer, Muscat, Pinot Gris, Riesling. Sporen wines are characterised by their finesse and class, richness allied to elegance. they age remarkably well. Deep soils protect against drought in years of low rainfall, allowing the vine roots to explore the soil and extract all the trace elements which contribute to the complexity of its wines. Just outside the village of Beblenheim, the Sonnenglanz vineyard faces southeast, at an altitude of 220 to 270 metres.The quality of the soil and its marvellous exposure give the wines an attractive gold colour of great intensity. on the nose, they have a fine, concentrated aroma of ripe fruit. they are generous on the palate, well balanced, with a long finish. This vintage 2011 is sweet. Renowned ever since the early Middle Ages, the wines of the Schoenenbourg were famous throughout northern Europe in the 16th century. The great Swiss cartographer, Merian, cited in 1663 "The Schoenenbourg, which produces the most noble wine of this country". Voltaire owned several vineyards here. Wines age particularly well, and in time develop powerful, rich aromas. Its microclimate makes it admirably suited to the production of prestigious VT and SGN. This 2012 is dry type. The clayey coarse sand is mineral rich : Ca, Na, K, Mg, F, P, and determines the finesse and multiplicity of aromas in the wines. Schlossberg wines are characterised by their very fine, richly floral bouquet. Delicate and distinguished, they do not attain their plenitude until after several years in bottle of its wines. From two parcels - Burgraben and Hagenschlauf in Beblenheim, these chalky soils give young Rieslings their pretty floral lemony notes. With age, the mineral content is enhanced and the wine acquires a smooth sweet note. It goes remarkably well with slender fish, seafood and the delicious coq au Riesling. Finally TRAPET released Pinot Noir with their label. It was named from the church which was built in 1441, the symbol of the village Riquewihr. 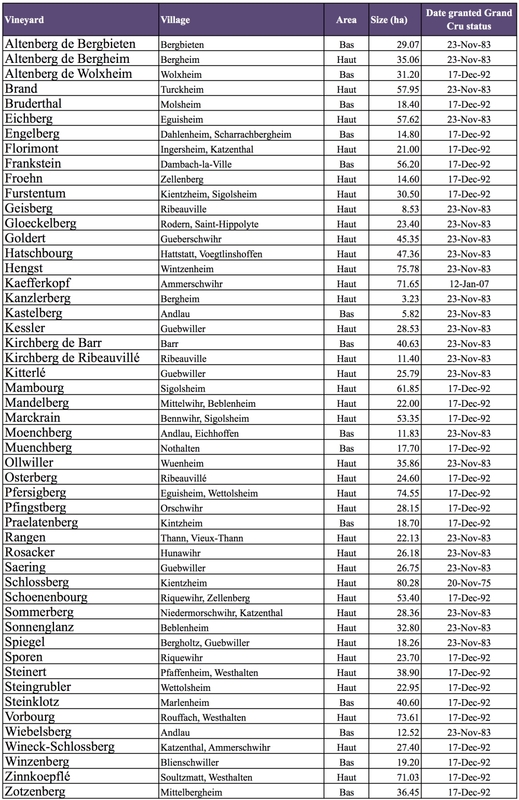 Production : 200 cases. This cuvee "Beblenheim Gewürztraminer" is made from the grapes from Ritterpfed in Zellenberg and the Sonnenglanz in Beblenheim. This full bodied, well structured wines are creamy and have a powerful spicy floral aroma. Excellent with foie gras (from Alsace), fairly spicy food or delicious apple desserts. When Burgundy grape grower meets Alsatian grape grower, an only daughter with a profound affection for her local soil, they feel a primitive, uncontainable duty to draw attention to the vines that tell the secrets of their native soil, a duty that ultimately becomes a passion. We originally felt this urge out of duty and respect for generations of Alsatian grape growers before us (Jean-Pierre and Hélène Grayer, our Great grandparents Pontius). 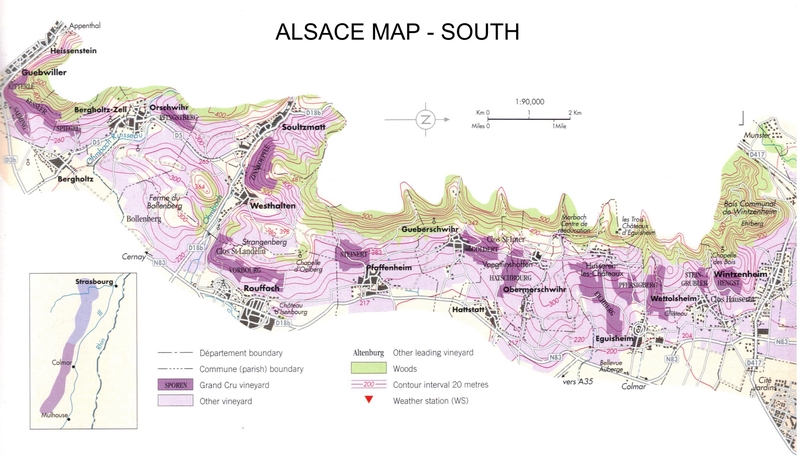 Duty then turned into passion, a passion for the vines of Alsace, and we became determined to make them the closest possible reflection of their homeland.